Legendary '70s band to perform hits from forthcoming box-set, tickets on sale now. 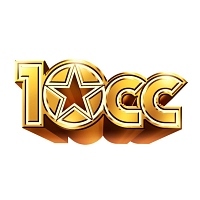 Several months ago we told you about Stockport's seventies surrealist pop stalwarts 10cc, heading out on tour and wheeling out their greatest hits for an anniversary that spans four decades. It appears that the band enjoyed themselves so much that they've organized an even bigger jaunt for later on this year, but with an underlying motive - to plug a huge CD box-set due out in the autumn. As has previously been well-documented, 10cc were a musical anomaly back in the '70s, a time when glam-rock, disco or prog-rock was still the order of the day. 1972 saw Kevin Godley, Lol Creme, Eric Stewart and Graham Gouldman begin their new journey into sound after a few false starts in various bands beforehand (Crazy Elephant, Hot Legs or Doctor Father, anyone?). They immediately struck gold with first single "Donna" and continued to rack up a further four year's worth of hits that included "Life is a Minestrone", "Wall Street Shuffle", "Art for Art's Sake", "The Things We Do for Love" and the number 1s, "Dreadlock Holiday", "Rubber Bullets" and the king of last-dances at school-discos, "I'm Not in Love". All of which make for a cracking concert set-list and a good night - best make plans to get some tickets, then! In support of the impending box-set "Tenology", 10cc will begin touring in Dartford on 13th October, followed by Tunbridge Wells, Southport, Aberdeen and several more until Southend on 2nd December. Gaps in the calendar suggest more shows, including a more central London one than Croydon, may be announced soon. Meanwhile, we have tickets available for all concerts, priced at £27 - £29.